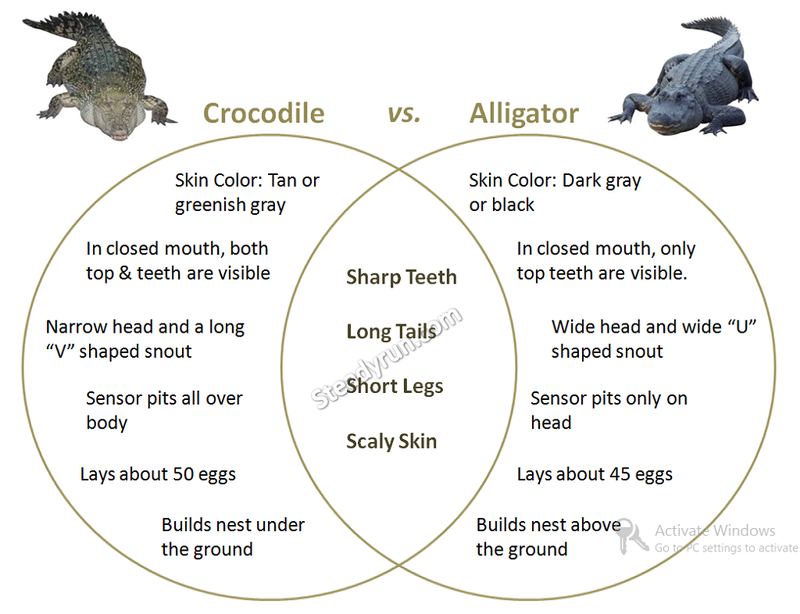 Write down what are the main similarities between Alligators and Crocodiles or Similarities between Crocodiles and Alligators. 1. Both have sharp teeth. 2. Both Alligators and Crocodiles have long tails. 3. Both have short legs. 4. Both Alligators and Crocodiles have scaly skin.